Being a teenager is hard work. In addition to hormone changes — your teen is facing an array of academic and social pressures. The stress can be compounding and some might find coping more difficult than others. But, should you be concerned? It can be hard to know. 1.) Sadness, hopelessness: what happened to that happy kid? No one is happy all the time but we don’t want sadness to become more regular than contentment. 2.) Irritability, anger, or hostility: some of this is expected with a teenager, or anyone for that matter, but if these feelings start becoming more regular then it is time to start thinking about getting help. 3.) Tearfulness, or frequent crying: is your teen breaking out into tears at the drop of a hat? Is he/she expressing feelings of being overwhelmed or not understanding why they are unhappy? 4.) Withdrawal from friends or family: Is your teen spending more and more time in their room? Avoiding social situations? How often are they engaging with their peers or participating in family activities? 5.) Loss of interest in activities: is your teen suddenly uninterested in playing in the band, or signing up for soccer? Does he/she not want to do much of anything anymore? 6.) Poor school performance: falling grades and difficultly concentrating can be a big sign that something is just not right. It can be hard to focus on school work if your emotions are not in check. Mental health needs to be a priority. 7.) Changes in eating or sleeping habits: is your teen suddenly not interested in eating, or is he/she going on food binges? Have you noticed your teen asleep at odd hours or up all night? If you have noticed one or more of these signs becoming a major part of your teens everyday life then it might be time for some changes. 1.) Start a conversation. Make face time a priority. Try to talk to your teen about what they are feeling. See if you can work out a plan to ease their stress and get them help. Be gentle when speaking with them and focus on listening, not lecturing. 2.) Seek out counseling services. 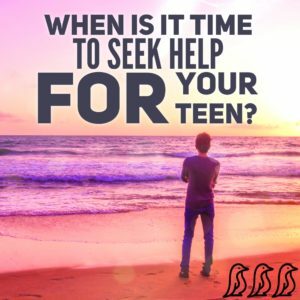 Encourage your teen to visit the school counseling office, or a private office that specializes in teen issues. 3.) Get your teen involved. Try to get he/she out of their bedroom, as hard as that might be. Offer to have a game night or take them to a movie. Try to do things as a family. Maybe go for a hike or a bike ride. Physical activity can do wonders for mental health. It is important to not put off help for too long, especially as school is looming around the corner. Summer is a great time to focus on your emotional wellbeing. 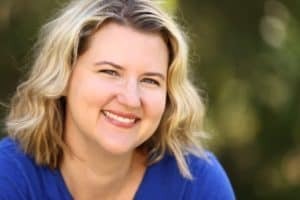 Alison is a licensed professional counselor and the owner of Move Forward Counseling, a boutique private practice in Salunga, PA. Her group practice specializes in women’s issues and offers mental health counseling for children, teens and adults. In her free time Alison can be seen running after her two small children and cooking is her therapy.